The folk song traditions of the Finns are already thousands of years old. 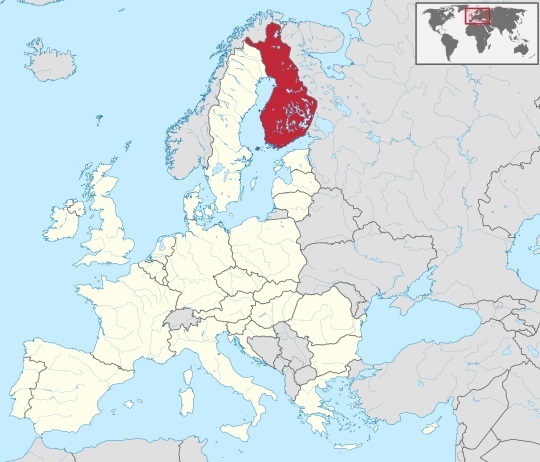 Over time, especially since the Christianization of Finland, the Finnish music also took up impulses and influences from other European countries. Finnish music refers to music from Finland or in Finnish language. It has been associated with culture since the beginning of the country's existence and people there still pursue values from the Finnish songs. Performances are best known to happen in places where there are small gatherings. The music is divided into two main category - folk music and contemporary music. Folk or traditional music in Finland is influenced by traditional tunes of Karelia and lyrics from Kalevala metre. Beleived to be the purest form of myths and beliefs in Finland, Karelian heritage is also associated with German and Slavic heritage. Some parts of Finland have their own music. For example Norther Finland where Sami people live call their tunes as Sami music. Some of the old instruments used by traditional music performers are whistles, horns and clarinets made out of birch-bark. Much more Details: Traditional Finnish music is commonly known by two major styles, that of the Kalevala form, and Nordic folk music, or pelimanni music. Kalevala music is considered older and is usually performed by chanting and is used to tell stories of lore and passed down through memory, while Nordic folk music is tonal, arriving in Finland from Scandinavia starting in the 17th century - ultimately replacing Kalevala music. Pelimanni Finnish music usually includes the use of a fiddle and clarinet, but later other instruments were added. Contemporary music on the other hand, is mostly renowned metal music that has similarity with music from other Nordic countries. Some of the music are in the form of rock and pop, hip hop, jazz and dance. Finland's modern music is also known for it heavy metal acts, that include black metal, death metal, doom metal, power metal and folk metal. Much more Details: Modern Finnish music has been widely recognized for an active and prominent heavy metal scene, including many sub-genres of rock such as folk metal, symphonic metal, and death metal. Pop, electronic music, trance and euro-dance music is also popular, along with more female songwriters pioneering the Finnish pop music scene; hip-hop also being a popular contributor to the genre. In recent times, a new movement of modern music began, bringing back a contemporary style of folk music. If you enjoy Finnish music, consider browsing more of our other music selections. Find access to a variety of different genres of music on internet radios stations at our music portal on hit-Tuner.net - thousands of listening options that are easy to navigate, available anywhere at your convenience, making a great way to expand your music playlist.